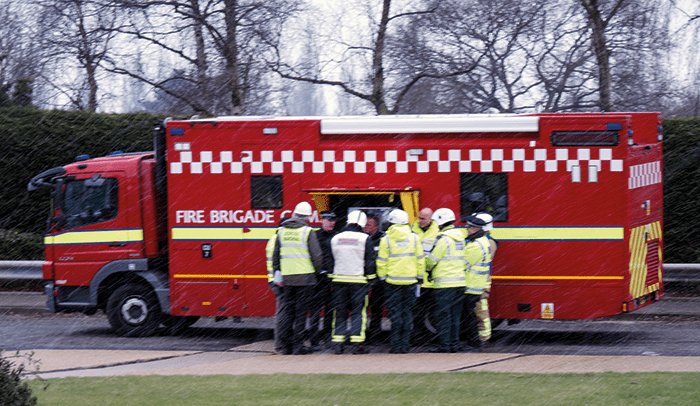 London Fire Brigade Emergency Planning (LFBEP), of the London Fire and Emergency Planning Authority (LFEPA), is the driving force in collective London local authority emergency planning, preparedness, response and recovery. The team have a number of statutory responsibilities, which are set by the Civil Contingencies Act 2004 (CCA), the Control of Major Accident Hazards (COMAH) regulations, the Radiation (Emergency Preparedness and Public Information) Regulations (REPPIR), and the Pipeline Safety Regulations (PSR). To co-ordinate pan-London training and exercising, in support of the LLAG arrangements. To undertake regional local authority planning, particularly the maintenance of the London Local Authority Gold Arrangements. To produce multi-agency major accident response documents for sites that hold large amounts of hazardous materials. To play a key role in the London Resilience Partnership. In order to adhere to these regulations and discharge their responsibilities, LFB EP deliver an annual, end-to-end, (strategic, tactical and operational) emergency preparedness training and exercising programme for the 33 London local authorities and have changed the landscape of emergency planning in London through driving innovation, utilising best practice and ensuring nose-to-tail consistency for local authorities. A comprehensive review of London’s preparedness was conducted following the significant events of 11 September 2001 and it became clear that London required a means to deliver a co-ordinated, multi-agency response for London. Therefore, the London strategic communication and coordination arrangements were developed. These arrangements were designed to ensure that the London Resilience Partnership (a coalition of over 170 independent organisations that engage at all levels of resilience) can make sure that London is prepared to respond to, and recover from, any eventuality, mitigating the impact on the city’s communities and businesses. New legislation, guidance and requirements were produced, which placed London Fire and Emergency Planning Authority (LFEPA) in a leading role to develop and co-ordinate emergency planning, response and recovery arrangements for local authorities. This role is undertaken by LFB EP and by developing the London Local Authority Gold (LLAG) Arrangements, a vital component of multi-agency working, ensuring an effective multi-agency response at not only the strategic level but also at tactical and operational levels. In summary, the role of London Fire Brigade Emergency Planning is to support London local authorities in effectively discharging their responsibilities under the Civil Contingencies Act. The team deliver regional training to London local authorities and partner agencies, in order to support the London Local Authority Gold Arrangements. This training takes the form of distance learning and role training and is designed to ensure that there is a pan-London consistency for the essential local authority roles in incident management. In addition, the team deliver Local Authority Liaison Officer training to support the LLAG structure at the local level and ensure consistency in liaison with other agencies at the scene of an incident. In the most recent exercises, Exercise Preparer involved 223 local authority attendees, supported by subject matter experts from 19 different organisations; Exercise Connects involved over 220 participants across 35 control rooms and Exercise Safer City involved 600 local authority players and around 600 from across the London Resilience Partnership. In order to support the London Local Authority Gold Arrangements, LFB EP deliver a comprehensive training and exercising programme to local authority officers, in order to prepare the LLAG and their support team for their duty period. Over the past year, the team delivered three distance learning packages, 27 training courses to 264 attendees and 24 exercises to over 568 participants. Over previous years, realistic and credible scenarios of marauding terrorist attack, pandemic influenza and building collapse have been created to allow local authorities to explore, test and develop their response and recovery arrangements. LFB EP play a full and active role in pan-London planning, in representation of the LLAG Arrangements and in order to support local authorities and add value to the process. The team also produce multi-agency plans to manage the implications of an incident occurring at a Control of Major Accident Hazard (COMAH) site or pipeline, or of a radiation incident that could have impact in the capital. These are designed to bring together all responders and ensure a collective response with clear and consistent messaging throughout. The organisations within the London Resilience Partnership come together to work closely within the statutory London Resilience Forum (at the regional level) and 33 borough resilience forums (locally), with the duty of assessing risks and implementing multi-agency planning. Due to the size and complexity of London, these forums are supported by six sub-regional resilience forums which promote communication flow between local responders and planners, including businesses and faith representatives at the regional level. Co-ordination, consistency and sharing of best practice are ensured by the secretariat function delivered by LFB EP. As secretariat for the Sub-Regional Resilience Forum (SRRF), a role that places LFB EP at the heart of London multi-agency preparedness, LFB EP deliver three workshops per year to each of the six SRRF areas. These allow reinforcement of local arrangements through the validation of regional and local plans and ensure that the best communication arrangements are in place. Representatives from across the Partnership buy-into the workshops and subsequent business meetings, which are chaired by local authority Chief Executives, a commitment that reinforces their significance. Finally, LFB EP also provide the tools for borough resilience forums to deliver local exercises which ensure regional consistency. While it is not possible to be involved in every local exercise, LFB EP recognise and commit to the need for London-wide consistency at a local level. The Local Authority Panel, made up of eight chief executives, ensure that London local authorities are prepared for the contingency planning challenges faced. In order to achieve this, they commission a group of emergency planning practitioners, from local authorities, to ensure the delivery of priorities, and LFB EP to ensure the effective maintenance of the LLAG Arrangements. In order to ensure that London Local Authorities can deliver a collected and co-ordinated response, LFB EP maintain the London Local Authority Gold Arrangements (established in 2004), which empower one chief executive to respond on behalf of all of them in a collective, co-ordinated and consistent manner. This is achieved through a joint resolution, agreed by all 33 local authorities in London, empowering the London Local Authority Chief Executive on duty to act as the strategic representative on their behalf, the London Local Authority Gold (LLAG). 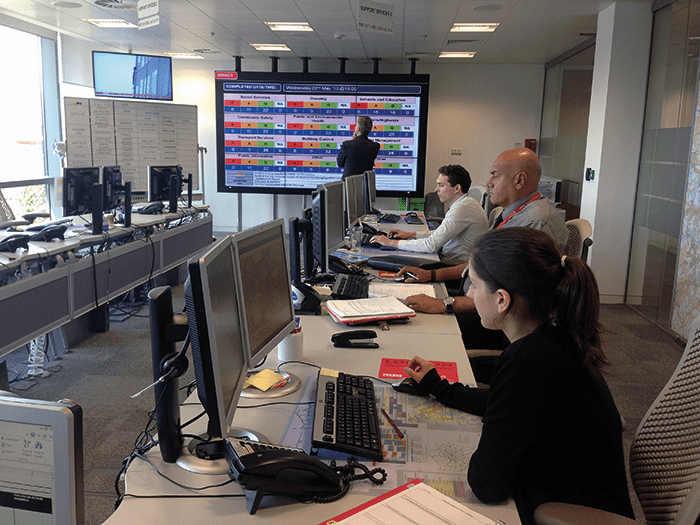 The LLAG is supported by the London Local Authority Co-ordination Centre (LLACC, staffed by LFB EP and LFB personnel), which links to 33 borough emergency control centres that are charged with managing the incident locally. The London Local Authority Gold Arrangements are scalable and flexible enough to manage both high impact, spontaneous emergencies and protracted incidents across London. To effectively support this, LFB EP is the pioneer of a system of ensuring that there is strategic representation 24 hours a day, seven days a week, so that should an incident occur which has impacts across the capital, London local authorities are represented by a chief executive who is empowered to make decisions and incur expenditure. The value of this rota has been proven by the collective and co-ordinated response of London local authorities on numerous occasions and has earned the confidence and trust of strategic leads from the emergency services and across the Partnership. Not only does the rota ensure that one chief executive (the designated London Local Authority Gold, supported by an extensive training programme, produced by LFB EP) has strategic oversight for the duration of their duty, but also that there is a secondary representative who is able to support or take over, if required. The Minimum Standards for London are a set of agreed and adhered to standards (for both preparedness and response) that were introduced in 2007, developed by LFB EP and supported by all 33 London local authorities, with the aim of ensuring a baseline standard of resilience planning across London’s local authorities that meets statutory requirements, Central Government expectations, and that is commensurate to London’s risk profile. As a result of these standards, London local authorities are the only local authorities to have agreed a set of standards that are regularly reviewed to ensure that they remain fit for purpose. The LLACC is made up of LFB EP staff and volunteers from within the London Fire Brigade who co-ordinate the 33 London local authorities and ensure that the London Local Authority Gold is prepared and supported in the event of an incident that requires a co-ordinated response. In order to achieve this, the LLACC is staffed by on-call officers who undertake continuous training and exercising and form a 24/7 rota. The London Local Authority Gold Arrangements are scalable and flexible enough to manage both high impact, spontaneous emergencies and protracted incidents across London. This has been proved through the management of a variety of different incidents, including the London bombings of June 2005, the response to the poisoning of Alexander Litvinenko (Polonium-210), severe weather (including snow, storms and flooding), London disorder and the murder of Drummer Lee Rigby. The principals of the London Local Authority Strategic Coordination Arrangements were employed to manage the day to day operations of the London Olympic Games in 2012, while still maintaining the emergency response capacity. weather and pressures on mortuary capacity. This support was in the form of consolidation and dissemination of information to local authorities, identification of trends and, where required, specific resource co-ordination to ensure the continuity of key services. LFB EP work closely with the Operational Resilience Department of the London Fire Brigade in order to integrate operational response arrangements, to deliver on Control of Major Accident Hazard regulation requirements (for both the Brigade and the city) and provide insight to planning that requires multi-agency input. In addition, LFB EP deploy staff to the Metropolitan Police Special Operations Room, in support of LFB colleagues, to ensure the effective co-ordination of Brigade resources during events, periods of industrial action and events that require activation of emergency services co-ordination arrangements. Tom Brady is an Emergency Planning Officer at LFEPA.